PAOLO Mendoza is glad to be considered for the head-coaching job of the University of the Philippines despite his relatively lack of experience handling a team. Mendoza, a former UP star from high school and college, applied for the job when the school mulled over yet another coaching change following a disappointing 0-14 record in Season 76. 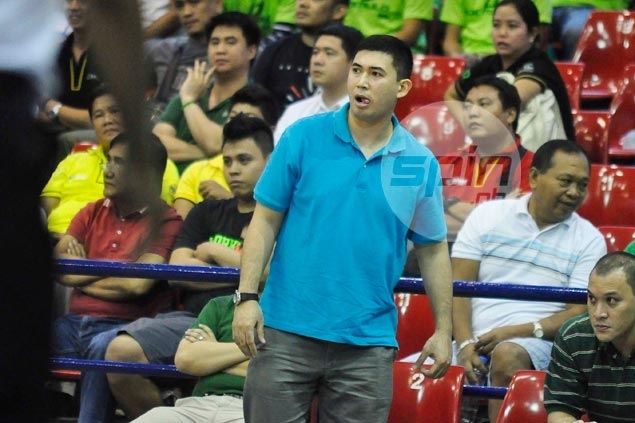 Sources, however, said Mendoza is now a longshot for the post with interim coach Rey Madrid, Big Chill mentor Robert Sison, former UP assistant coach Jojo Villa, and State University juniors basketball team coach Allan Gregorio now being considered for the job. Still, Mendoza was elated to be given a chance to help his alma mater. “I’m thankful sa UP community for considering me. Kung binigay nila ang opportunity, why not? Wala naman akong expectations from them,” said Mendoza, who once scored 69 points during his high school days in Diliman. The former King Maroon stressed he is still open to helping the school revive its basketball program after years of suffering. “Of course, I always want to help UP dahil history ko, UP ako at heart. So kapag tinawag nila ako, I’m always open to help them,” said Mendoza, a key player of the last UP team that reached the Final Four in 1997. In a way, Mendoza is already contributing to the school’s cause. The son of businessman and popular horse owner Rudy Mendoza is currently calling the shots for Derulo Accelero Oilers in the PBA D-League Aspirants Cup whose squad has a school tie-up with the Maroons. One of the players from UP is Henri Asilum, who still has playing years with the school in the UAAP. “Masaya ako na in a way, natutulungan ko ‘yung mga UP players ko. As you can see, ang napag-uusapan sa college basketball Ateneo, La Salle. Gusto ko rin naman na UP, ganun din,” said Mendoza. The former PBA No. 1 overall pick (2000) said he selected players from the Maroons because he believes in their talent, while trying to instill pride in them despite suffering several losing seasons. “I want them to realize na winner sila. Circumstance lang ‘yung nangyayari sa kanila. I always reiterated to them na this is a different league although I know they are from UP, they are representing a company rin. “I’m looking at you because bilib ako sa mga UP players. ‘Yan ang gusto ko ipakita sa kanila na they are better than people thought of them,” added the former PBA player.